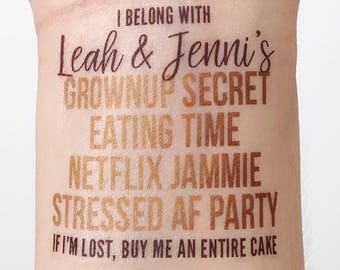 Announcement For our FULL line, please go to loveandlion.com/shop. 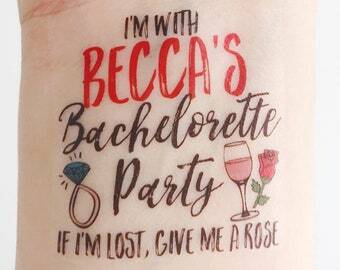 Lots more fun designs and products! Follow us on INSTAGRAM @loveandlion for discounts and giveaways. 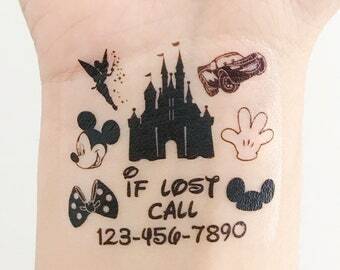 Tag us so we can see your tats in action! Free downloads and other fun stuff on our blog: loveandlion.com! For wholesale orders, please email us at: wholesale [!at] loveandlion.com. For our FULL line, please go to loveandlion.com/shop. 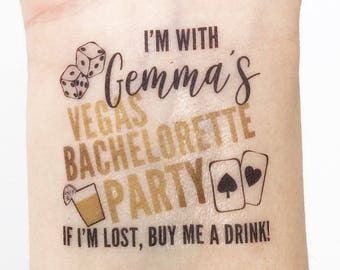 Lots more fun designs and products! Follow us on INSTAGRAM @loveandlion for discounts and giveaways. 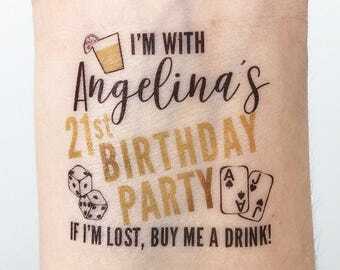 Tag us so we can see your tats in action! 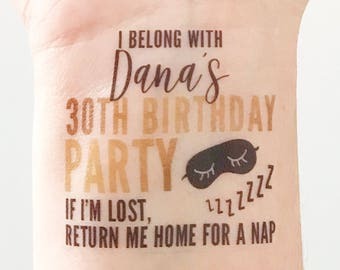 Custom Birthday Temporary Tattoos - Nap Time! 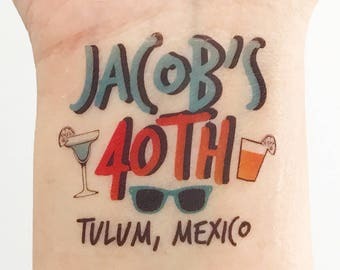 Custom Bug Birthday Temporary Tattoos - Perfect Party Favors! 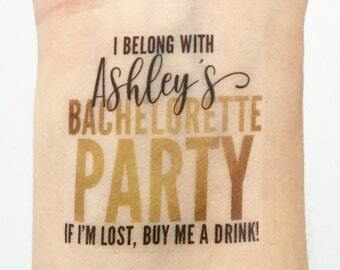 Custom Party Hat Temporary Tattoos - Perfect Party Favors! 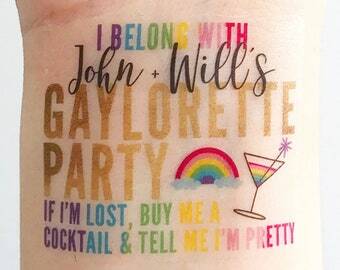 Custom Unicorn Rainbow Temporary Tattoos - Perfect Party Favors! 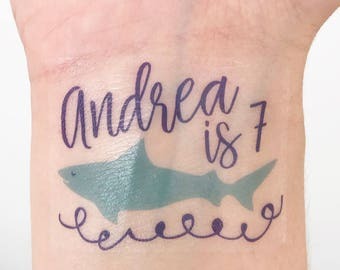 Custom Shark Temporary Tattoos - Perfect Party Favors! 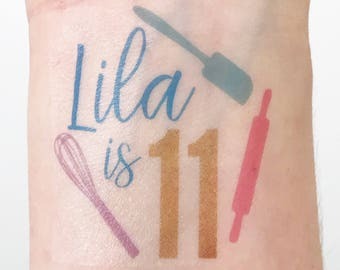 Custom Cooking Party Temporary Tattoos - Perfect Party Favors! 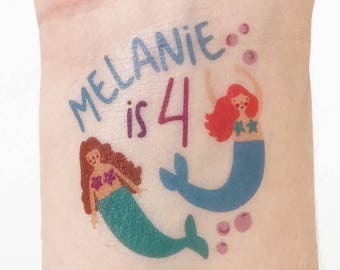 Custom Mermaid Temporary Tattoos - Perfect Party Favors! Looked just like the pictures, so much fun!! 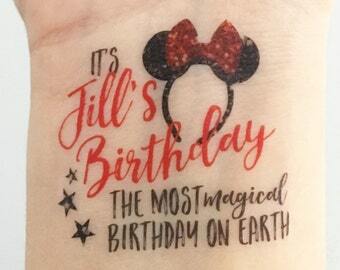 They come off easier than most flash tats so don’t get wet. 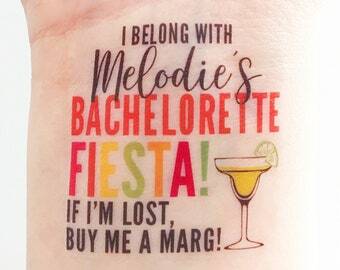 Custom Bachelorette Party Temporary Tattoos - Fiesta! 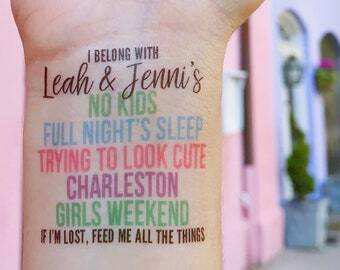 We are Jenni & Leah, tattoo designers and bloggers for the modern parent, based out of Nashville, Tennessee. 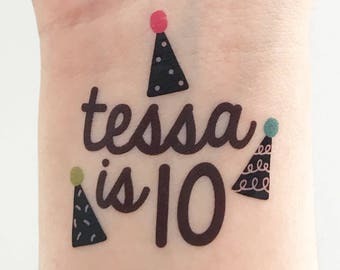 Stop on over to our blog for your weekly dose of style, DIY, decor, recipes, parties, and all things kiddo-related. Follow us on instagram for discounts, giveaways, and all around fun stuff @loveandlion. Hi! How are you? You look really pretty today! We thank you for your business! A refund will only be given if your order does not match what you have ordered and/or written in the comment section of your order. We are not responsible for late or lost shipping. We are not responsible if your item is damaged during shipping. By purchasing an item from our shop, you are agreeing to these terms and conditions. Cancellations: Once you place your order, it cannot be cancelled as each item is made to order, and we may have already started creating it. Please convo us immediately with any changes. 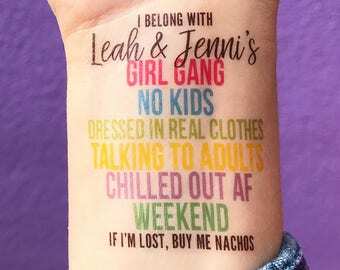 Our tattoos ship USPS first class (up to TEN business days... crazy, but we've seen it happen plenty of times) with tracking unless you upgrade shipping at checkout...we are girls on a budget, so we like to keep it cheap for you too! Please note, we are not responsible for late or lost mail. If you need your goodies sooner, we HIGHLY recommend upgrading to priority or express. We are also able to do FedEx upon request. Priority mail does NOT have a money back guarantee... we have had some issues with priority mail taking longer than three business days even if the shipping label says 2-3 days. Express mail is 1-2 business days depending on your zip code, and has money back guarantee. FedEx is the only method of absolutely guaranteeing your delivery date. Once we drop your order at the post office, it is out of our hands. We do not manually track each package with the bulk of orders we have- that is up to you! Please note your tracking number in the email you receive when your order has shipped. Processing time is 3 business days BEFORE shipping. 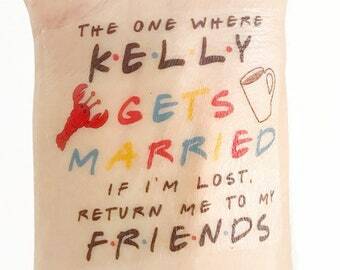 Q: How do I remove my tattoo? A: Processing time is 3 business days BEFORE shipping. Your ship date is on your invoice. Business days are Monday through Friday. Q: What if I need my item sooner? A: You can upgrade your shipping and/or purchase a rush order in the shipping section when you check out. Q: But I can't find where to upgrade! A: If you're on your mobile phone, shipping and rush fees are hard to find- we can't even figure it out! Please view the full web version for these upgrades. A: You have received a tracking number in the email that was sent when your order shipped. You are responsible for monitoring the tracking. Q: Can you do partial orders? 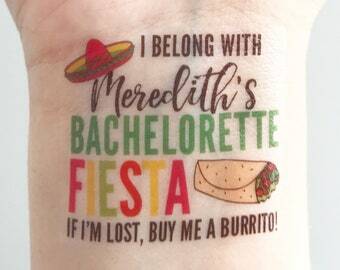 Q: Do you make custom designs? A: Yes! Please convo us and let's chat! Q: Do you offer proofs? A: We can send you one proof when your order is due to ship upon request. It will ship the following business day after your approval. 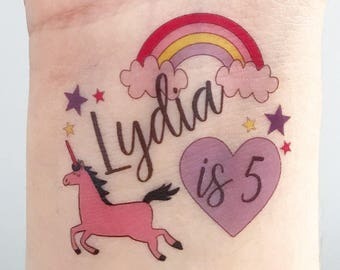 Each additional proof will be $5. 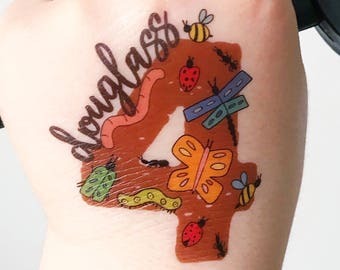 Q: Are you able to make my company logo into a tattoo?